Bio: I grew up in a village in Scotland, but from a young age always had a passion for exploring the bigger world around me. Through my late teens I backpacked around Europe and Asia. 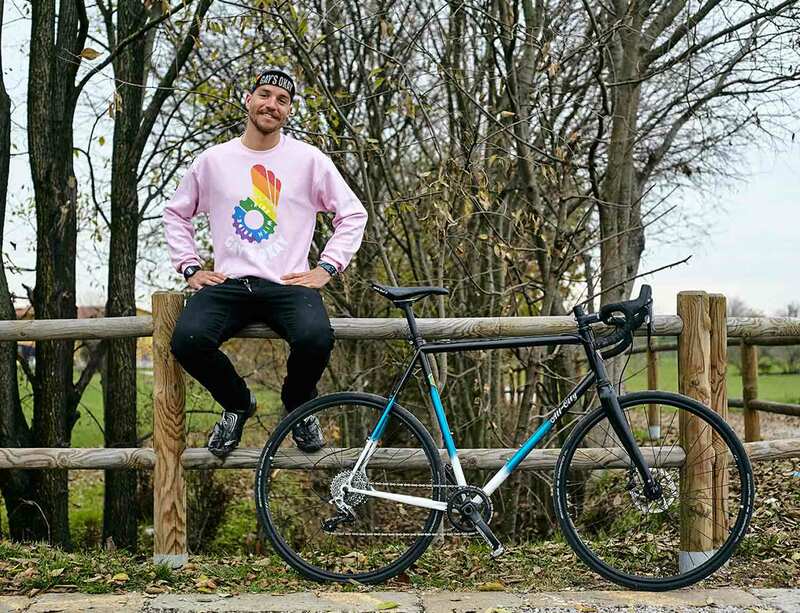 At the same time, with the encouragement of a close group of friends in Glasgow, I started riding fixed gear extensively, enthusiastically getting into bikes. In 2012 I left Scotland with a backpack and a bicycle in a box and started working as a messenger in Vancouver, Canada. Pretty quickly the plan then became to keep riding and keep moving, as long and as far as I can. A life in perpetual motion. In the 4 years since leaving Scotland I have ridden my bike in 14 countries across 4 continents and have worked as a messenger in 6 cities so far, competing in alleycats and championships around the world. Being a messenger has helped me find a way to discover a whole new world, straight from the saddle. It has been with the support and the kindness of so many amazing friends and family that this journey continues to be possible (and worth it) and with the support of All-City I hope to continue the journey as far as it can go.